? 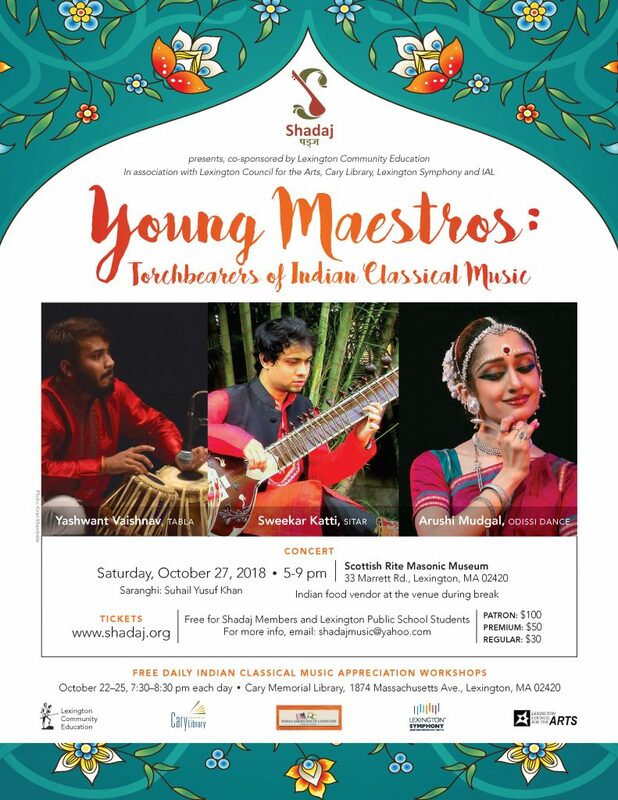 “Young Maestros”, is a performance in Indian Classical Music featuring delightful music and dance by Sweekar Katti (Sitar), Yashwant Vaishnav (Tabla) and Arushi Mudgal (Odissi dance). These highly celebrated young artists are visiting from India and are regarded as the torch bearers of Indian Classical Music. “Young Maestros” concert is a unique blend of sparkling duets, solo performances and interplay between dance, rhythm and melody. These young artists burst on to the scene as child prodigies and dazzled the audiences and musicologists with their virtuosity at such a tender age. Now they have emerged as the torch bearers of Indian classical music. 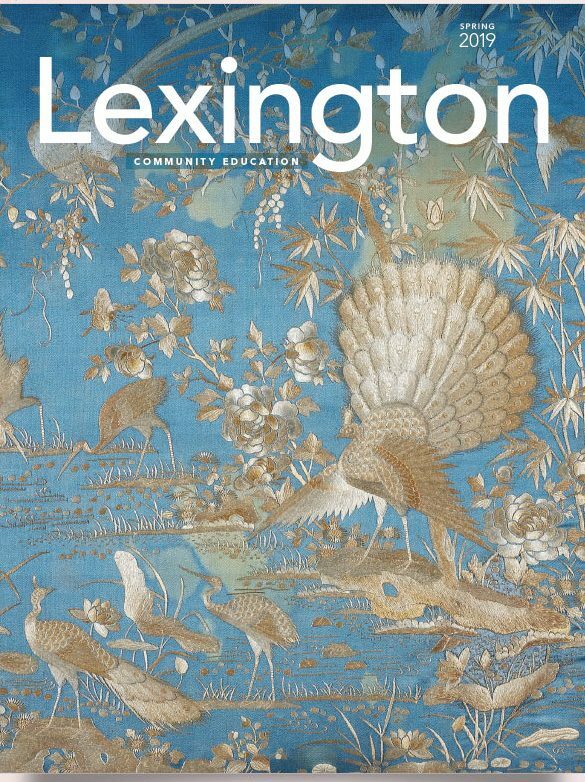 The concert is FREE for the students of Lexington Public School system. Days preceding to the concert, from October 22 to 25, Shadaj has organized a series of FREE music appreciation sessions at the Cary Memorial library in Lexington where people get to learn about these art forms and interact with the artists. In addition to the annual outreach event, Shadaj also hosts a series of chamber music concerts each year. The next chamber music concert is by Manjiri Asanare (Indian classical vocal), at the Pilgrim Congregational Church in Lexington on September 29th.